Having to book your MOT in can be inconvenient at the best of times. At Autotech Garage Services we understand that your time is important and you need to be able to book your MOT in Great Yarmouth at a time that is convenient to you. We have system in place on our website, which will allow you to book in your MOT in Great Yarmouth on a time and date that is suitable for you. 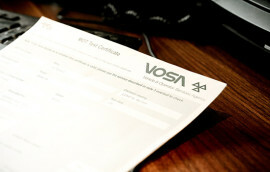 Once you have submitted your MOT booking online, this is placed directly into our diary. Unfortunately the motor trade has quite a bad reputation and due to this people can be concerned about taking their cars to be repaired through fear of getting unexpected repair bills. At Autotech Garage Services we are trying to change that. We guarantee that there will not be any unexpected bills and we will always make sure you leaving feeling happy that both you and your car have received nothing but the best service possible. So if you are looking for an honest, reliable and low cost car repair solution, why not contact Autotech Garage Services – The family run car Garage in Great Yarmouth that cares. Nowadays we all rely on our cars, be it to travel to work or get the children to school. 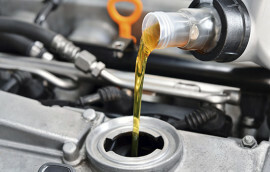 Due to this if our cars develop an issue, this can be an incredibly stressful time, with the worry of how we are going to go about daily life and the car repair bills. At Autotech Garage Services we want to try and relieve the stress by offering a fast, friendly, cost effective and honest service. So if you are looking for a car Garage in Great Yarmouth, why not get in contact with us. Autotech Garage Services is the newest car Garage in Great Yarmouth. We offer a large selection of services from changing bulbs to complete car restoration and everything in between. We are a family run business and we always put the customer first. We understand that the general public has a low opinion of the motor trade and we would like to do our bit to change that. We do this by offering an honest, professional service, which will not break the bank. We will not complete any work without your permission. We were the first Garage in Great Yarmouth to be approved by Autocare. We are also approved members of the Good Garage Scheme and have been awarded as not just a top rated Garage in Great Yarmouth, but one of the top rated in the UK. In addition to the above we are also members of the Motor Industry Code of Practice (Trading Standards Institute approved code). Giving you the confidence that, with Autotech Garage Services, you can be sure to receive professional and reliable service. You can find out more about this here. We have now expanded the services we offer to include Air Conditioning refills. You can read more about the service here. So if you are looking for a car Garage in Great Yarmouth, why not give Autotech Garage Services. a try. We guarantee that you will not be disappointed with our service. No job is too big or too small. At Autotech Garage Services we enjoy the challenge – the challenge to solve the unsolvable and make our customers happy! That dreaded thing that comes around just once a year – the MOT! We are here to take the stress out of the MOT. Does your car need servicing shortly? 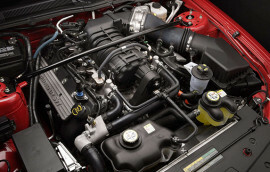 Why not check out the two levels of servicing we offer and arrange an appointment. Gary Harris is a great mechanic who won’t charge the earth and who always does a great job. Fantastic!! !Wouldn’t go anywhere else!! why would you? Service received is second to none and when you find a great mechanic you stick with them!!! Looking forward to seeing you at your new premises Gaz!!! Gary and Melanie have honesty and integrity and together with their skills in the business of motor mechanics, they will serve many happy customers. I wish you both every success in your business, I am positive that it will go from strength to strength! Fantastic customer service and always pleased with the work. Great service. Great prices. Always willing to help and Mel makes a great Tea. Top class mechanic, honest … YES, an Honest mechanic, and reliable. Trustworthy,reliable, reasonably priced and knows his stuff. Would highly recommend. I cannot describe the amount of service and customer care from this place,I am now a customer for as long as they are trading, I actually discovered this vehicle repair shop by accident and was very happy with their quotes for work. I couldn’t find any others to compare, a superb friendly service offering total customer satisfaction. I still can’t believe the savings.. 5 stars from me… Renault scenic 1.6 now running better than ever.. Thanks ..
5* customer satisfaction from this company, great customer skills and makes time for you. Even came out to my house to code read my car to find the faults. It’s nice to find an honest reliable garage that can be trusted. Got us out of a huge hole when MOT ran out!!! Thank you so much, you did it as soon as possible and the work too. Definitely recommend. Fantastic service, only garage I would recommend.thanks very much . Just had some work done by Autotech. They’ve sorted out a longstanding problem with my car. Would highly recommend – Mel and Gary are lovely people and offer excellent customer service. Thank you both so much!! Fantastic service from a warm friendly family run garage, honesty and good value, have repaired mine and husbands cars. Always amazing service from these guys. Took my car for her MOT today, initially failed due to a bulb being out but they just popped a new one in without question and without charge. It’s hard to find a garage you can trust but this place is it. Hands down the best garage I’ve ever gone to. Very honest and great customer service. Thank you so much for everything!